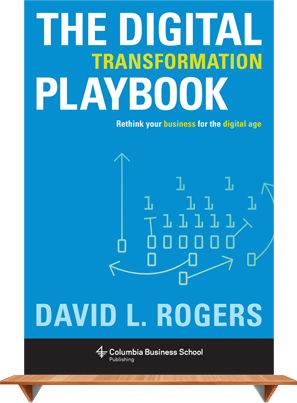 Thank you to all who joined us at Monday’s NYC launch event for my new book, “The Digital Transformation Playbook”! If you weren’t able to join us, you can watch a videostream of the event below (filmed by Sree Sreenivasan via Facebook Live). After a welcome by the brilliant Rita McGrath, I give a brief talk overviewing the key concepts of my book, which seeks to tackle the question: How does a business started before the Internet adapt to thrive in the digital age? 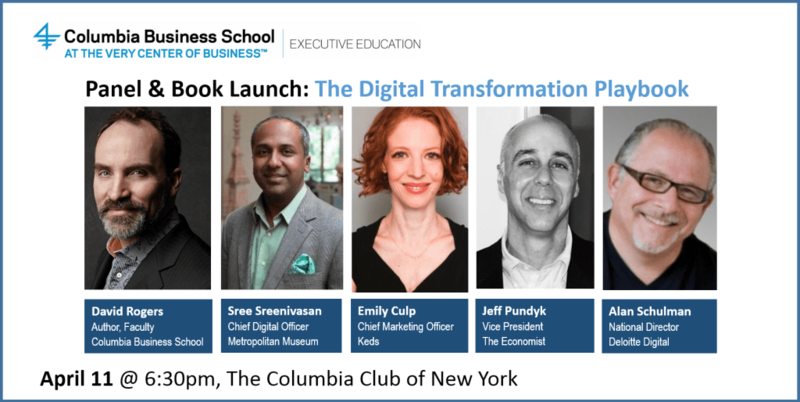 Thank you to Columbia Business School Executive Education for hosting the event, for the support of Columbia Business School Publishing. Big thanks to Rita, Sree, Emily, Jeff, and Alan for sharing all your wisdom and insights. And thank you to everyone who joined us at the Columbia Club of New York for this memorable evening!